Cocos nucifera, or the Coconut Palm, is often offered for sale. 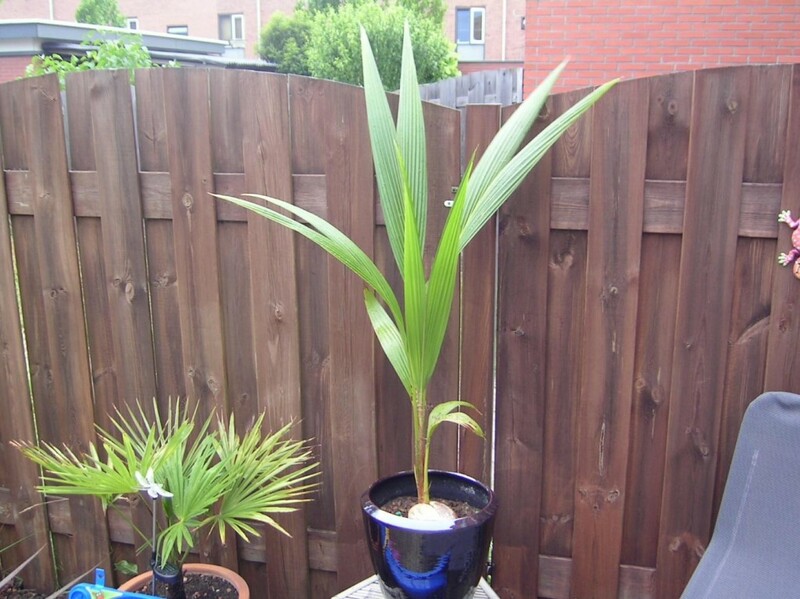 For a few bucks you can buy this palm with its elegant appearance. But since this palm requires a very special treatment, it often dries out completely after a few months. 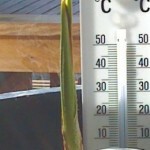 You can of course consider this plant to be an annual terrace plant. After all, a bouquet of flowers will cost more. But of course, it can also be a challenge to keep it alive. 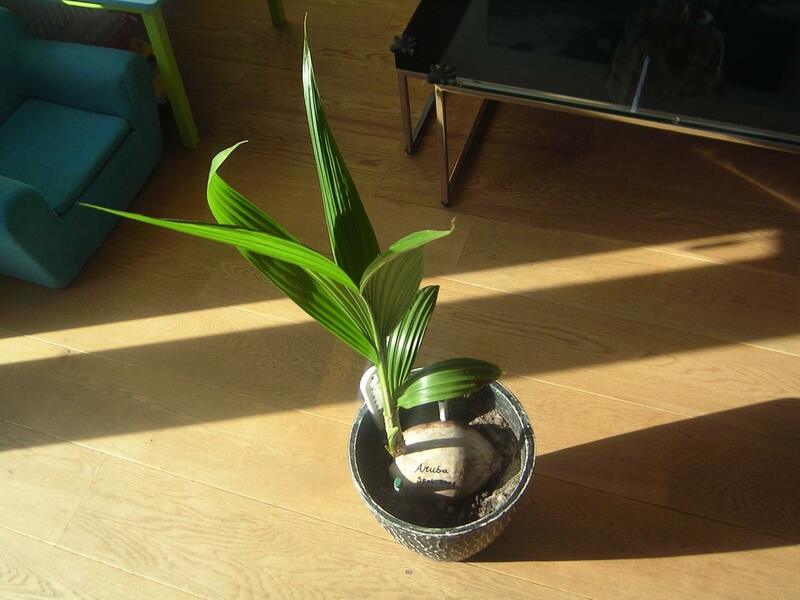 If you’re looking for even more challenges, you can also try to sow the coconut palm yourself. One of our readers tried to do it himself and shared his experience. 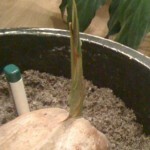 Hereby my experience with sowing a coconut that I like to share with you. I had received the coconut from my uncle from Aruba, who bred it there. On his advice I soaked the nut at least a week in a bucket. Then I put it 2cm deep into the soil. Only I still had to manage the temperature. 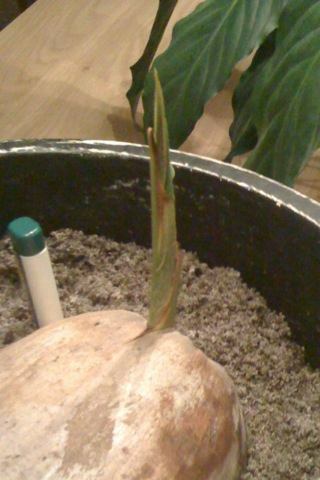 The only place that was sufficiently warm, close to the heating system, is quickly too dry for the coconut. When looking for a different solution, I thought that the meter cupboard brings all heating pipes together. 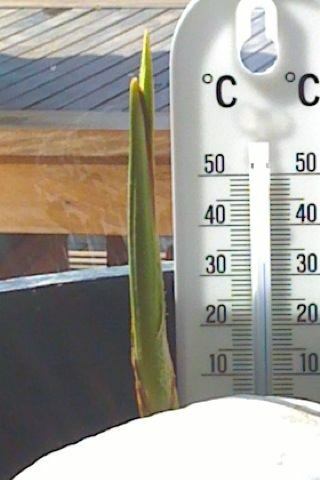 Here it is always very warm, a meeting showed that the temperature varies between 25-29°C (77-84,2°F). So great. 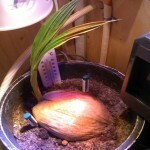 The coconut also needs a lot of light. After a study on lighting for plants on the internet, I came out at LED lighting. I didn’t know that this was possible. The first week I had just used a 60 watt light bulb. 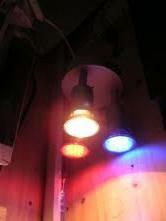 On the internet I read that someone had used blue and red LED lighting in combination with a normal 50 watt/240 volt halogen lamp. That’s why I immediately went to a DIY shop to buy a lamp holder with 3 connections. It now burns continuously above the coconut. 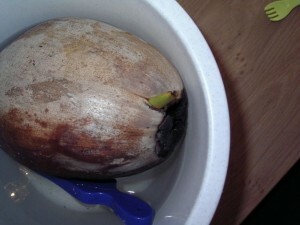 Every day I pour a little water over the coconut because the water evaporates quickly. 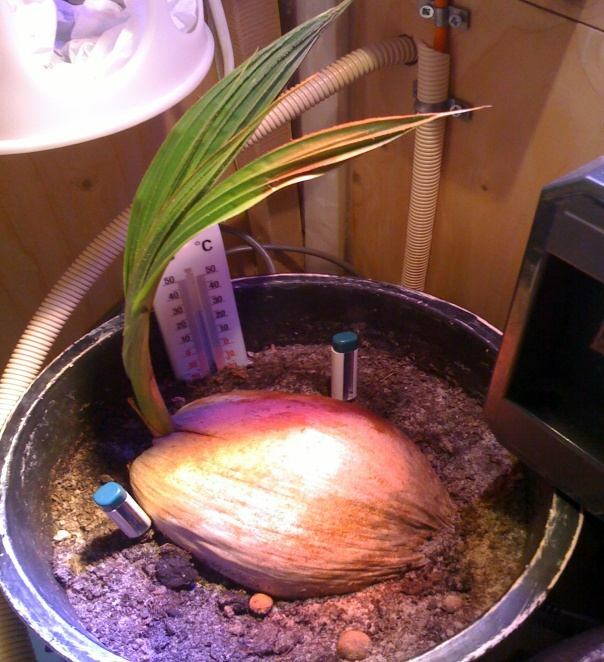 Probably the germination was successful due to the favourable combination of light and warmth and high humidity because the coconut was in an enclosed space (please be careful with electricity in combination with moisture!). To my surprise, the coconut did very well. Occasionally, in sunny weather, I took it off this place to get it used to the sun on the window sill. 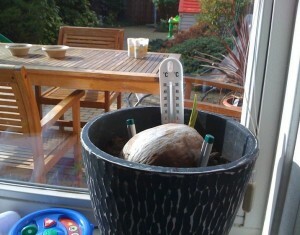 I did make sure that the coconut stayed well warm; on average 27°C (80,6°F). 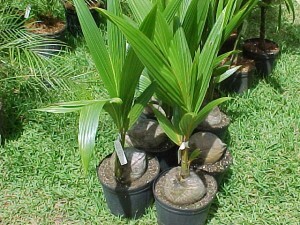 For the nutrients I just use special potting soil for palm trees mixed with some sand. In Aruba, they also grow on the shores where they simply lie on the sand. Hereby also some pictures. Good luck! 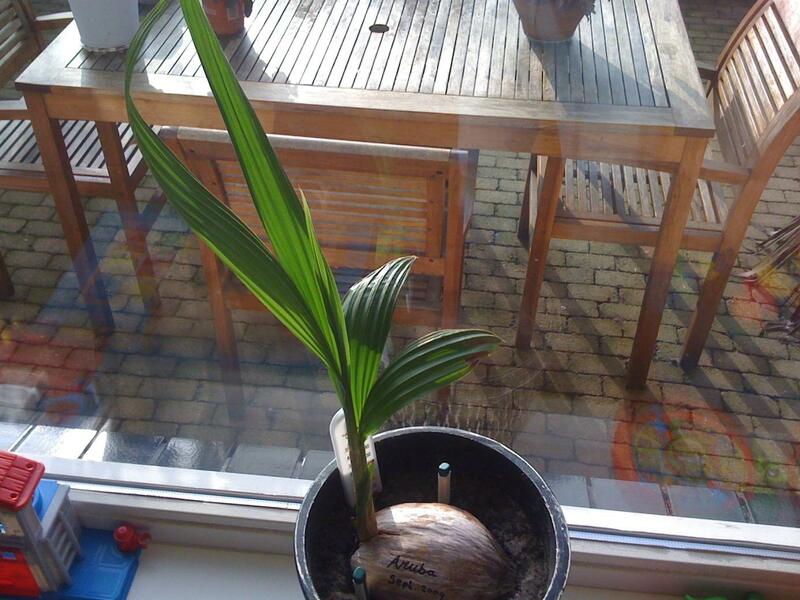 You can also try to sow a coconut palm yourself just with a coconut from the supermarket! Shake the nut to check that there is enough liquid inside. Then proceed as described above.